Controlling the elements, teleportation, raising the dead, and slinging deadly spells at your enemies. All of these are just some of the examples of what you can do as a spellcaster in D&D 5e. But with great power comes great responsibility, and in many cases, much more complexity than a martial character. That’s not to say that martial characters are simplistic. There’s plenty of decision-making and even math involved in creating and playing a martial character. But spellcasting tends to add a lot to a character’s complexity just by being present in a class. With spellcasting comes a lot of reading on what spells do. A spellcaster has to carefully choose what spells they can cast ahead of time. They also have to keep in mind all of the requirements of each of these spells. A martial character is ready to roll whenever, which is part of their appeal to many. 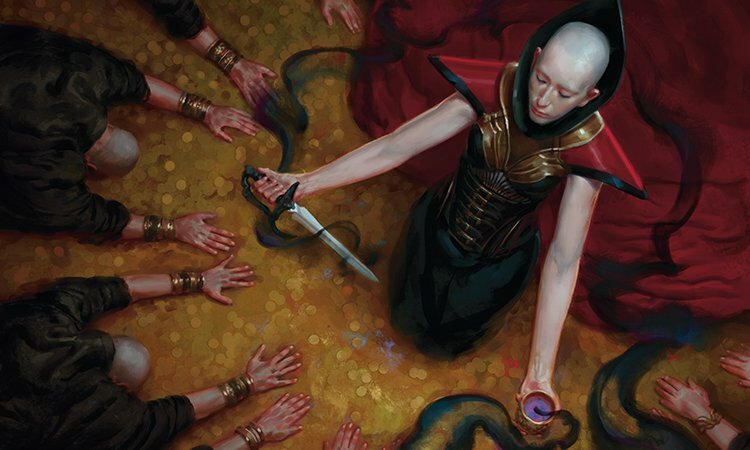 But spellcasting isn’t nearly as daunting as it may seem to a new player or someone who is mulling over the idea of taking a plunge into the realm of casting. I’m going to cover the basic info you need to play a spellcaster. 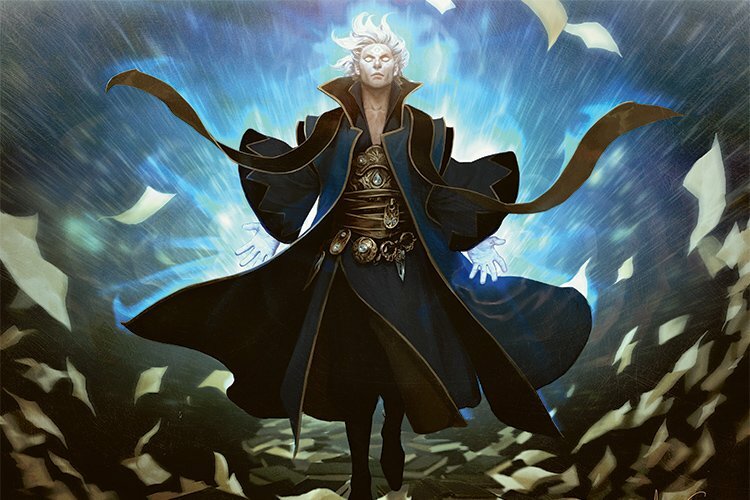 First thing’s first, we need to breakdown how spellcasters work in D&D 5e to see what type of character we wish to play. A lot of people will breakdown the classes into either divine (of/from a god) casters or arcane (traditional magic) casters. This is good to do to capture the flavor of your character, but not so much for understanding the mechanics of the classes. Instead, let’s break everything down into how these classes operate from a mechanical perspective. A full-caster is your stereotypical magic user in D&D. They can summon powerful magic to aid their allies, thwart their enemies, and interact with the world around them. As they grow stronger their magic becomes increasingly powerful. These casters, in particular, can learn up to 9th-level spells if they do not multiclass outside of a full-caster class. No other type of caster or otherwise has access to these world-altering, mind-shattering, magic. Depending on their class they can be a caster of the divine or arcane. In some cases, they may even have a bit of both. The majority of the caster classes are full-casters: bard, cleric, druid, sorcerer, and wizard. All of these classes have different niches, playstyles, and spell lists, but one thing’s for sure, their identity revolves heavily around their ability to conjure magic. 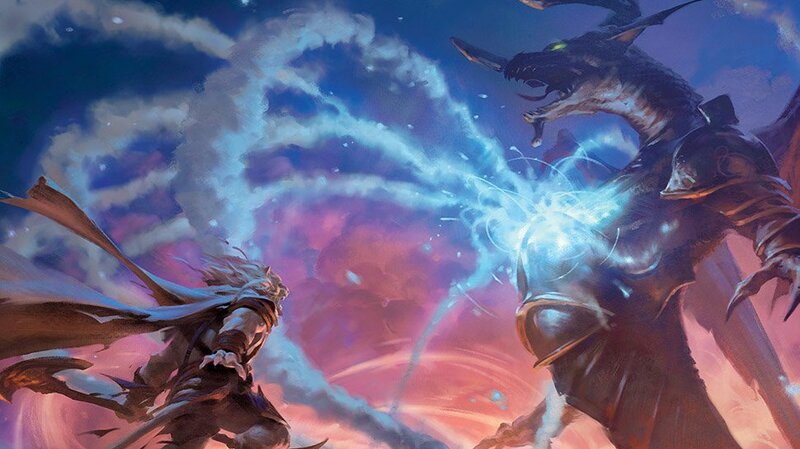 Wizards may be the most iconic spellcaster, but they’re far from the only option in D&D! Credit: WotC. Half-casters also learn their spellcasting ability through their class. While it’s certainly a core feature of their class identity, spellcasting is not their entire identity like that of a full-caster. Instead, they sort of bridge the gap between martial and spellcaster in a single class. Though, they typically lean more into their martial identity if anything. Paladins and rangers are the two half-casters in 5th edition. Both are divine casters that share their flavor and a bit of their spell list with clerics and druids. Half-casters are not able to know or cast cantrips, but they are able to learn up to 5th-level spells! These spells can be used to enhance their martial abilities or provide utility for themselves and their allies. A partial-caster or sometimes referred to as a 1/3 caster is a class that gains their spellcasting through their archetype. The two examples of this are the Arcane Trickster Rogue and the Eldritch Knight Fighter. Spellcasting is part of this character’s identity, but they’re nowhere near as adept at magic as any of the other casters. For starters, their magic doesn’t come online until 3rd level when they get their archetype. They use their magic more to supplement their physical abilities. They progress in their arcane studies much slower than even half-casters. Their highest level spell slot is 4th-level so lower than a half-caster, but they do get to know a few cantrips which half-casters do not. Thematically and even mechanically, warlocks share their playstyle with the full-casters. However, their spell slots operate so uniquely that they deserve their own category when considering multiclassing. Therefore, I’ve decided to give them their own category here. Warlocks have a very limited amount of spell slots. Seriously, a max of 4 slots at level 17 is all you’re going to get. However, unlike all of the other casters’ spell slots, warlock spell slots recover during short rests. They also cast spells at their highest possible spell level which caps out at 5th-level. Warlocks are powerful, but they play by their own rules. Despite this, I’d still argue that they’re very beginner friendly. When perusing the various class options to choose for your spellcaster you’re going to notice something about them. Some classes have a “spells known” column in their spellcasting chart while others do not. Known spell classes require you to pick out new spell(s) as you level up within that class. You learn the spell permanently, but generally, you can swap out a known spell to learn a new spell after you level up. These classes don’t learn nearly as many spells as a class that prepares their spells, but they’re not tethered to needing to have a spellbook on their person or hoping that they’re on good standing with their god to grant them their powers. Conversely, a prepared spellcaster has access to every spell on their class’ spell list. However, they can only select a finite number of these per long rest. They must spend time during a long rest to alter their list of spells should they wish to swap any of them. Wizards are a sort of strange hybrid. They learn 2 spells per level, but they must record them in their spellbook. However, they can also find and learn spells throughout their adventures by finding spell scrolls or spellbooks. However, they also must prepare their spell list during a long rest from the spells they know. Every spell has a cost. The more powerful the spell, the more resources it consumes. Credit: WotC. 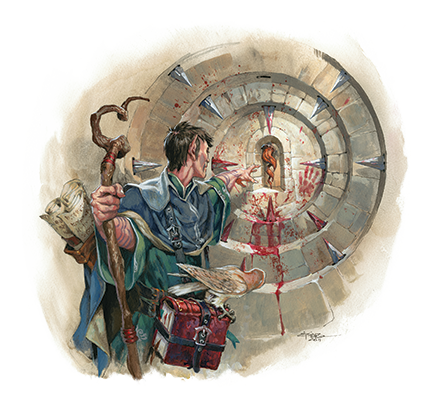 Spell slots are the primary resource that players and DMs alike are most concerned about when casting a spell. You’ll have a varying number of spell slots based on your level depending on what type of caster you are and if you’ve multiclassed. Spells have levels associated with them. For example, a 1st-level spell can be cast using a 1st level spell slot. They can even be cast using a higher level spell slot. A lot of spells have increased effects when cast using a higher level spell slot! However, you cannot ever cast a spell using a lower-level slot. If you wish to cast a 3rd-level spell, you need to use a 3rd-level or higher spell slot! The only spells that are exempt from requiring a spell slot to cast them are cantrips. Only full-casters and partial-casters have access to these through their class or archetype. Cantrips can be cast at will. Spell slots are regained after the completion of a long rest. However magic items or class features may allow some characters to regain spell slots in other ways or gain extra spell slots. Spell slots are essentially the currency of spellcasting. As I mentioned before, warlock spell slots work in a completely different way. Their spell slots are still used to cast spells, but they do so at their maximum known spell level. This makes even the most basic of 1st-level spells potentially deadly to a foe. Also unlike a typical caster, warlock spell slots are regained after a short rest. This means that if your DM is throwing a lot of encounters per day at your party you’re going be consistently effective while the wizard has to carefully choose the best time to use their high-level spells. Spell components are also part of casting a spell. Each spell will require a unique combination of components and there are 3 different spell component categories. Many spells have a list of physical components required to cast them. This ranges from bat guano to pieces of leather to precious gemstones. The more powerful the spell, the higher-quality the materials will be. All casters have access to a spell component pouch or an arcane/divine focus. These are used in the process of casting a spell, but they have the mechanical effect of negating any material component THAT DOES NOT HAVE A GOLD COST LISTED! Yes, some powerful spells will have a price included next to their materials. These materials can be extremely costly, but the power of the spell is generally well-worth the cost. For instance, Revivify requires 300gp worth of diamonds, but it can bring someone back from the dead for a 3rd-level spell slot. There is no mechanical benefit to having a spell component pouch or a focus. It is simply up to whatever flavor or flair you wish for your character to have. Spells may also have a somatic component requirement to cast them. This simply means that there is some sort of gesture involved in casting the spell. Mechanically-speaking this specifically requires a hand movement in order to ensure that the character has one free hand to cast spells with at all times. This can be homebrewed to something else at your DM’s discretion. Or you could just take the War Caster feat and throw somatic components out the window! There are plenty of situations where you may not wish to make time-consuming and elaborate hand gestures. Credit: WotC. Spells could also require a vocal component in order to be cast. Out of all three of the component types I’d say that vocal is the most obvious to understand. You have to speak a phrase or incantation to cast the spell. By the rules, you cannot whisper or lower your voice. It needs to be a strong voice in an audible tone. This can make stealth missions as a caster difficult. If you wish to cast a spell silently then I suggest looking into the sorcerer’s Metamagic option, Silent Spell! Keep in mind that characters that are silenced cannot cast a spell with a vocal component. Also, characters that are deafened have a 20% chance of being unable to cast a spell with a vocal component. There are several different schools of magic that are used to classify the spells and spellcasting in D&D 5e. However, from a mechanical point of view, I don’t find these schools to be very intuitive for a newcomer. If anything they’re mostly used for flavor. I find it better to break-down what each spell does mechanically and categorize them by their function. Keep in mind, this is a high-level overview. There is plenty of nuance and spells that may fit in multiple categories. But for a basic overview, I find it better to oversimplify the mechanics. Spells that cause damage are the primary draw to spellcasters and spellcasting for a lot of players. They want to make enormous explosions and shoot lightning from their fingertips! Good news! You can do both of those things and more. Offensive magic is a staple for almost any magic user. Cantrips provide you with a consistent source of damage, but your actual spells are generally more powerful or they provide a large area of effect to consume multiple enemies at once in your arcane flames. Attack spells can be made in two different ways. The first is a targeted spell like fire bolt which requires you to roll an attack using your spell attack modifier. The second type is a spell that requires the target to make a saving throw to avoid all or some of the damage of the spell. This saving throw is based on your spell save DC and using whichever ability score the spell description specifies. Spells that require an attack roll can both critically hit on a 20 and miss on a 1. Buffs are fun and are the bread-and-butter of any type of support caster build – such as my Wild Magic Support Sorcerer! Spells that are considered to be buffs will bolster your allies’ capabilities in or out of combat depending on the spell. This could mean that they deal more damage, receive more healing, gain temporary hit points, have increased effectiveness at making skill checks, or any number of things. Whatever it is, they’re better at it because you’re buffing them. For simplicity’s sake assume that spells that shield or prevent damage count as buffs. Credit: WotC. These types of spells are the pinnacle of teamwork and are particularly rewarding to cast if your party appreciates and makes good use of them. Seriously, what’s more fun than giving the barbarian an extra weapon attack each turn? Crowd control spells are my personal favorite. These are spells that allow you to suppress other creatures’ effectiveness in combat or directly control the battlefield. Crowd control spells are all about preventing damage done to your party. Depending on the spell, this could be a single target spell or an AoE. Many spells limit a creature’s effectiveness or choices, but there are plenty of spells that will outright prevent a creature from taking a turn. Some crowd control spells even deal some damage alongside limiting the enemy’s movement or ability to attack. These are typically higher-level spells, but they can pack a significant punch. Generally, crowd control spells will require a creature or group of creatures to make saving throws against your spell save DC. However, there are also spells like grease which will target an area of the battlefield and creatures will only have to make a saving throw if they interact with that area. Debuffs are the polar opposite of buffs. Instead of strengthening your allies, debuffs allow you to weaken your enemies! Debuffs center around reducing the effectiveness and/or accuracy of your enemies’ attacks. They can also lessen their ability to make saving throws against yours and your allies’ spells and attacks. Debuffs are commonly part of other types of spells. For example, Slow is both a crowd control spell due to its movement limitations, but it also heavily debuffs the creature(s) as well. This type of spell is handy for when limiting your opponents’ abilities is more valuable to your party than bolstering your own. This can be helpful for cases where your party is outnumbered, or if you’re trying to focus on a single, powerful enemy and wish to weaken some of their minions. Then there’s healing. In a lot of modern RPGs and MMORPGs it’s necessary to have a healer in the group to make progress in the game. However, D&D 5e is not one of those games. In fact, for the longest time, I’d been running a campaign with a party that had no healers. It’s not necessary to have a healer. That being said, if you want to be a healer it’s going to be both welcomed and appreciated by your fellow players. Healers are notorious for being able to bail the group out of a tough combat situation. They also tend to bring other types of support spells to the mix such as buffs and debuffs. As with all the types of spells, there are plenty of archetypes between the caster classes that specialize in healing. You can play a completely different playstyle and heal your party effectively. You also don’t have to be a dedicated healer to cast healing spells. Even picking up or preparing 1-2 healing spells per long rest is sufficient for D&D 5e in many cases. Some spells may be cast as a bonus action. While these are typically not super powerful spells they do free up your action economy which is extremely beneficial. You now have an action to do anything with if you use your bonus action to cast a spell. Well… not quite anything. 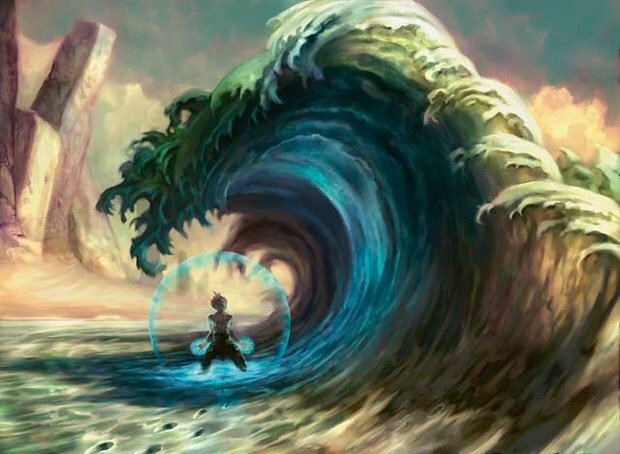 There are actually specific rules about how your turn functions once you have cast or if you intend to cast a spell that takes a bonus action to cast. I’ve copied the appropriate excerpt below, but you can find it on page 202 of the Player’s Handbook. Essentially, if you cast a spell with a bonus action you can’t use your action to cast a different spell. You also cannot opt to cast a spell with a casting time of 1 bonus action with 1 action instead. However, with your action, you can do things like dodge, dash, or disengage to get yourself into a more optimal position, cast a cantrip, or do a number of other actions. Quite a few spells require you to maintain concentration once you’ve cast them. This means that for the spell’s duration you’ll have to remain focused on keeping it active. If you lose concentration at any point, the spell is ended. If you are concentrating on a spell you’ll have to make a Constitution saving throw each time you take damage. The DC for this check is 10 or half of the damage taken, whichever number is higher. If you fail this save you lose concentration and the spell ends. You will automatically lose concentration on a spell if you are incapacitated or killed. That’s pretty obvious, but worth mentioning regardless. You can only have one spell that requires concentration up at a time. If you decide to cast a spell that requires concentration while you’re already maintaining concentration, your original spell is ended as soon as the new one is cast. This is essentially the trade-off to cast a spell that is typically a bit more powerful than a spell that doesn’t require concentration. A lot of buff, crowd control, and debuff spells will require you to maintain concentration. A handful of spells will have the ritual tag in their description. These spells can be cast by taking time and performing a ritual which increases their cast time by 10 minutes. This can be risky if you’re pressed for time, but the payoff is that a spell cast as a ritual doesn’t require a spell slot to be consumed once it’s cast. Only certain classes have the ability to cast rituals, though anyone can take the Ritual Caster feat and gain this ability that way. Wizards, in particular, are able to cast any spell that they know with the ritual tag as a ritual without even having them prepared. Casting a spell as a ritual takes time, but it’s a worthy investment if you wish to preserve your spellcasting resources! Not every ritual has to be so dramatic. Get a grip. Credit: WotC. I won’t lie, there’s a lot to take in when playing a spellcaster. You have to get your spell list squared away, determine what role your caster will take on, and gather rare components. However, by doing this extra work you’re rewarded with some of the most powerful abilities a player has in D&D 5e. The cool thing about all the spellcasting classes is that they all have very unique playstyles. Even the classes that share the same category of spellcaster. For example, a sorcerer and a wizard are two very different characters even though they share a lot of the same spells. I’ve always found spellcasters to be fun, but they are certainly intimidating if you’re new to them. Hopefully this overview has made them much more approchable. While there’s a lot that goes on while playing a spellcaster, the possibilities that come with it are enormous!